Roosevelt University’s Office of Career Development is a great on-campus resource for students who need guidance in their job search journey. They offer help with resumes, interviews, and more. If you want one-on-one help from Career Development click here for contact information. Their office is located on the third floor of the Wabash Building, room 324. To be eligible for an on-campus job, you must be a current Roosevelt University student enrolled in 6 credit hours at Roosevelt University. International students must obtain work authorization from the Office of International Programs. First, you should figure out if you qualify for the Federal Work-Study Program. Basically, the United States government and participating schools, like Roosevelt University, set aside funds to offer jobs for students with financial need. You must fill out the FAFSA to apply for the Federal Work-Study Program. Although not everyone qualifies for the Federal Work-Study Program, there’s no penalty for marking “yes” on the FAFSA. The option is found on the very first page you fill out. If you qualify, financial aid will add the amount you qualify for to your financial aid award. This can be found on RU access. You can also contact financial aid to see if you qualify. Tip: Make sure to include your full nine-digit student ID number when contacting financial aid via email fas@roosevelt.edu. If you qualify for the Federal Work-Study program, you can still apply to non-federal work-study jobs. It adds to the list of job opportunities on campus. If you do not qualify for federal work-study jobs, there is still an abundance of on-campus jobs available. Tip: Be aware that the Federal Work-Study program normally has a limit of hours per week and wages per semester. If you are worried about exceeding your financial aid limit, contact Career Development. Not every situation is the same, but depending on your position, your financial aid award, and the current semester, there may be a chance that you can keep your job and get paid beyond the financial aid limit. Again, this is situational, please contact Career Development for more information. Now that you know if you qualify for jobs through the Federal Work-Study program, it’s time to make your Career Central account. Career Central is the online job posting service for Roosevelt students and alumni. 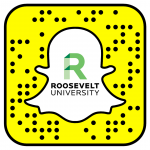 Here you will find student jobs and internships at Roosevelt University along with positions from employers like Shedd Aquarium, Chicago Public Radio WBEZ, City of Chicago, and more. You will need to email studentjobs@roosevelt.edu or career@roosevelt.edu to create an account. Make sure to include your full name, nine digit student ID number, and your RU email. After the account is created, you can begin to browse job postings on and off campus. You must first upload a resume. One neat thing about Career Central is that your resume is approved by a career counselor that offers feedback. It may take a few tries to get your resume approved or it may be approved immediately – either way, now you have a professionally reviewed resume to use! Once your resume is approved, you can begin to apply to jobs on Career Central. Some jobs require additional items like a cover page, but again, those items are reviewed and approved by a career counselor. If the job position is interested in you, they will contact you for an interview. Keep in mind that international students must obtain work authorization from the Office of International Programs before they are eligible to work. Tip: Make sure you review the description and qualifications of the job position before your interview. Think about your strengths and experiences. How can you use that to meet what the employer needs? Also know what you want out of the job and be ready to answer what your goals are, in life and for the position. The employer may not ask these questions, but always be prepared. Remember, here’s your opportunity to show the employer your personality and why you’re the best applicant for the position. Once you’re hired on-campus for the first time, you will have to go through the onboarding process. The onboarding process is basically the Roosevelt University student version of human resources. You cannot begin work nor get paid before you finish the onboarding process. It is your responsibility to contact Career Development and start the process. Click here for more information. Tip: Here’s a list of accepted I-9 documents that you will need. If you would like to set up direct deposit, you will need your account number and routing number. You may not get an offer at every job you apply to, but don’t be discouraged. According to Forbes, of 118 applicants for a single job, only 20% get an interview. It’s hard selling yourself through a piece of paper, email Career Development and talk to a professional about it. I know it may seem like a lot of work, but this will help you grow professionally. Tip: If you are struggling with balancing school and work, Roosevelt offers free counseling for students currently enrolled. Don’t be scared to ask for help. To contact Counseling Services, call (312) 341-3548. April 17 | 4:30 p.m. – 6:00 p.m.